I’m sure by now, you’ve heard all the chatter about Pinterest. I love the ability to create a collection of things that interest me. I discovered an interesting thing, though. Before Pinterest, I had No.Idea. that I have an obsession with doors. Here’s some examples from my Great Doors board. 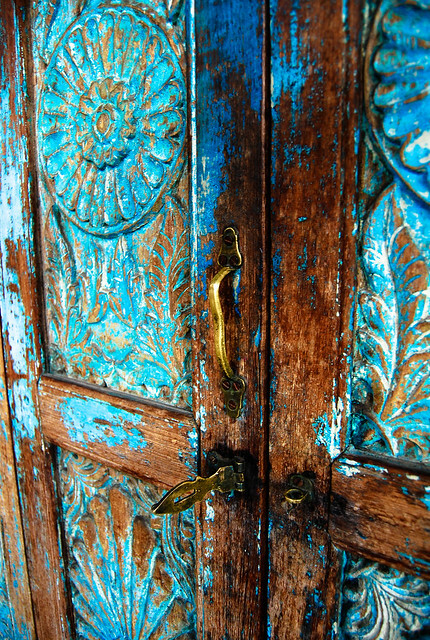 I currently have 52 examples of some amazing doors, pinned to this board. I’m a little obsessed. Thank You, Pinterest for helping me identify a heretofore unknown obsession love. Now that I’ve identified and acknowledged my love of doors, imagine my joy when driving down the road and seeing, not one, but five. F.I.V.E.! old doors leaning up against a dumpster! I asked Hubs to pull over. We thought about putting them in the car, because, hey, they were at the dumpster, but we didn’t feel right about just taking them. I had to run to the bank the next day, and the bank just happens to be kitty-corner from the door Mecca. Naturally, I made a beeline straight for the bank (Ha!) doors. The owner happened to be there and I asked him what he was doing with the doors. He asked me how much I wanted to give him. The first door I saw and the one that had me stopping was this beauty. (Buddy started spraying down the doors to clean them before I could snap the first picture). I was not leaving the DP’s without this door. Look at it’s ceramic knob. I actually had to take a razor to it to scrape some junk off the end, but it cleaned up real purdy. Also check out those carved corner pieces. This is the doorbell. It just below the window. You lift the lever and it rings a brass bell. It worked once I pulled the insulation out from inside of it and cleaned up the bell, but then someone in the house (not going to mention any names) was trying to figure out how it worked and the striker broke. We have a plan to fix it, though. More moulding and detail work. The glass is wavy and I have a couple cans of Looking Glass spray paint in my stash that’s just waiting for the right project. I thought I’d do something similar to what Kindra from At Home With K did to her door. Then I saw two more doors in the stash with glass and saw similar visions in my head. I love the arches on this one! This is not my favorite, but Gail from My Repurposed life makes such cute things out of louvered doors. 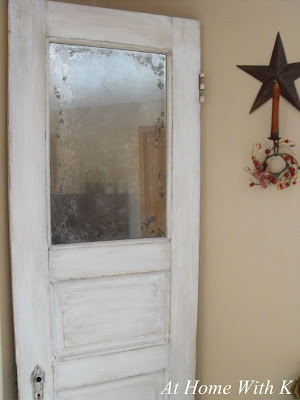 I could make a hall tree out of this door, similar to what Gail made. Or maybe a bookcase? Finally, there’s this door. The plain Jane of the lot. Wouldn’t she be perfect for an outdoor picnic table? Stacy from Embracing Change seemed to think it was a great idea. I LOVE the colors she used. I may copy her verbatim. Gah! How does a girl decide? Apparently she doesn’t. Apparently the trick to getting a great price is to dither while the slide show of possibilities plays out in your head. This will make the DP impatient. So impatient that he finally says the magic words. I couldn’t say “Yes” fast enough. I really was willing to pay $50, but I’m so happy I didn’t have to! 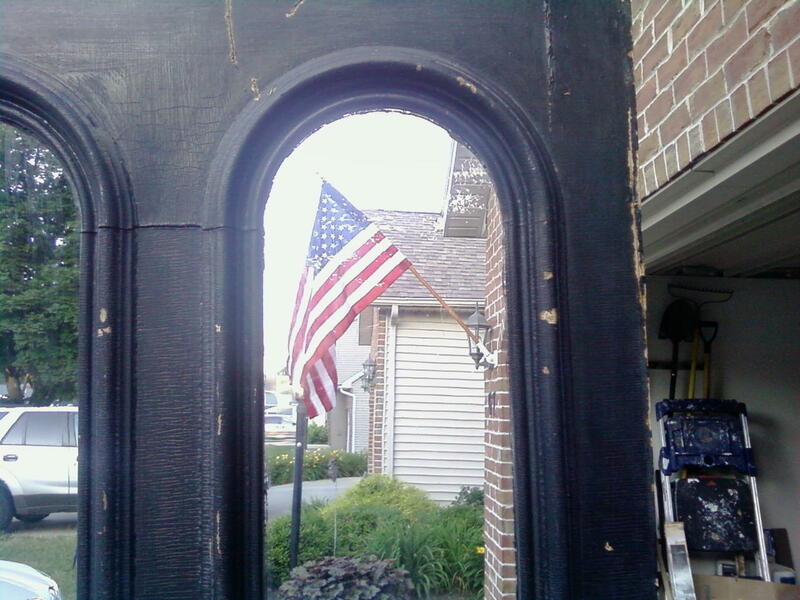 In another twist of the junk Gods smiling upon me, two days later I scored several more louvered closet doors, and an antique set of closet doors with leaded glass inserts (all intact) for FREE from the neighbor’s down the street. I now have repurposing projects Ga-Lore! 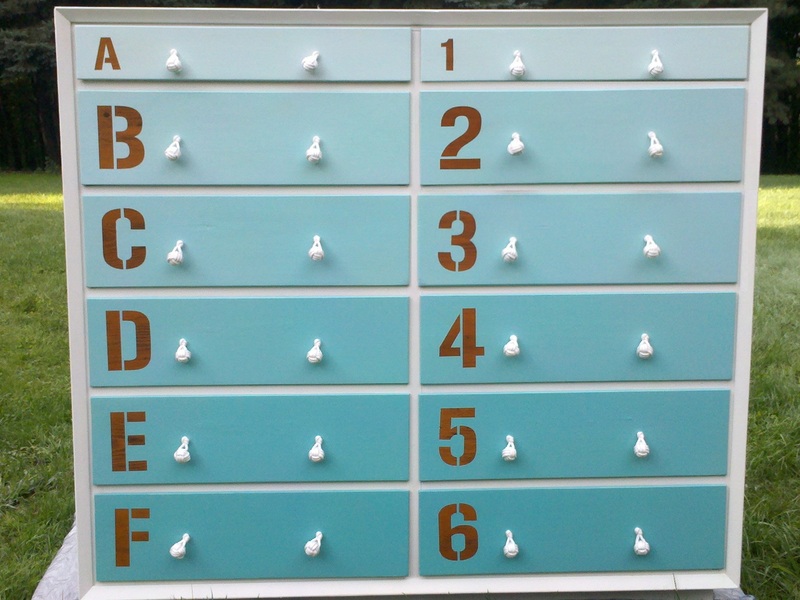 I’m thinking a headboard for Hubs and I, like Flea Market Trixie made. I have to bide my time, though, because I must now turn my attention to moving. We finally found a better house for our family in the area. It’s on 12 acres and in a town that scores very high on the Cuteness Scale (think Star’s Hollow, if you’re a Gilmore Girls fan). Our new home will have a large workshop area for me, so there will be plenty of space for these projects and more. Thank you Pinterest and Door Peddler. What would you do with these doors?